Medicinesfast.com was a licensed US online pharmacy according to their homepage. Their business started in 2001 and the archived information of this e-store was up to 2017. After medicinesfast.com stopped its operations, it sends all the traffic to kwikmed.com. This e-dispensary operated from Scottsdale, AZ. Most of their offered medicines were erectile dysfunction drugs with some common over the counter medications as well. 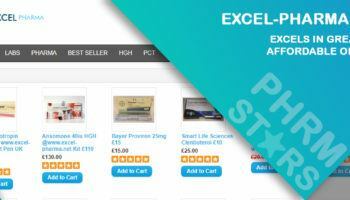 This e-store had partnered with big pharmaceutical companies such as Pfizer. Eli Lilly, Bayer, GSK, and Watson in delivering medicines to their customers. On their homepage, they placed a link for people who wanted to check their license. Medicinesfast dispensed medicines without requiring a prescription. On their homepage, it also says that they have licensed doctors from the US that reviews orders prior to being approved for delivery. All medicines shipped by this American online pharmacy were said to be FDA-approved. Among the popular medications offered by Medicinesfast were generic Viagra, branded Viagra, generic and branded Cialis, branded Levitra, Staxyn, Finasteride, and Propecia. 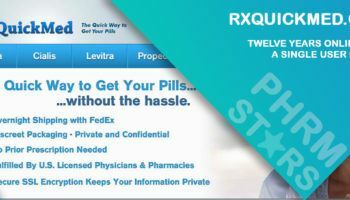 A pack of 3 tablets of branded Viagra costs $277 and it included free consultation and a free pill splitter. The consultation was with a US licensed doctor. Medicinesfast.com also offered 3 tablets of branded Cialis for $275. It included a free consultation with US licensed doctor and a free pill splitter. For generic brands, they had generic Viagra for $141 per pack and $290 per pack for Cialis. The number of pills each pack was not provided and is no longer obtainable. To order, you only have to select the medicine you need, proceed with creating your own account, complete the online consultation, and then proceed with the checkout. Medicinesfast.com accepted credit card for payment. Consumers who were asking about insurance coverage were advised to contact their insurance companies directly. This e-store offered FedEx and USPS in delivering their products. FedEx was for a next-day delivery while USPS takes up to three days. The shipping cost depends on each state. This e-store served US customers only. The envelope from FedEx and USPS contains the address of the pharmacy that dispensed the medicine. All deliveries require a signature. Returning customers were able to reorder without undergoing an e-visit or presenting a prescription. Returning customers were able to process their order by simply logging in to their Medicines Fast account. With its processes from ordering to delivering orders, it looks like we are looking at a legit online pharmacy hence we decided to check for their customer reviews. We found a single review for Medicinesfast.com. The review was shared in 2012 and it was a five-star review. It was shared by Jeff Knight who said that he had been a loyal customer of Medicinesfast.com for two years and he had such a good experience that he continued using them. He added that the delivery was always on time and the prices were always affordable. Jeff ended his review with a promise to recommend (he already did) this e-store to his friends. With this good review of Medicinesfast from a third-party site, we can say that they had a good start as an online pharmacy. Unfortunately, we are unable to find newer customer reviews. With Medicinesfast.com closing before 2018 to move to a new domain name called kwikmed.com, we are unable to find customer reviews for 2018. Medicinesfast.com did not offer or released any coupon code in the past. They did not offer specials or promotions as well in order to win customers. What they offered were their safe and legal medicines, reliable video consultations from their licensed doctors and FDA approved products. If online pharmacies are using coupon codes and specials to win new and old customers, medicinefast.com relied on this advertising on their page. They were proud to say that their products were FDA approved, verified by Pharmacy Checker, that they operated legally, they had partnered with USA pharmacies, their high level of privacy and security, and the hassle-free ordering process. 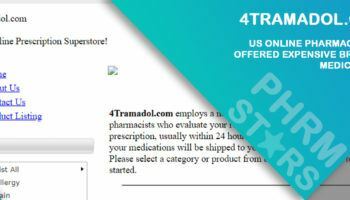 Medicinesfast.com was one of those online pharmacies that offered expensive medicines. The prices of their erectile dysfunction drugs were a bit higher as compared to other online pharmacies. Imagine a pack of Viagra for three for a price of $277! They claimed that the medicines they offered were all FDA approved. We found their processes to be okay. They offered four easy steps for customers to order from them. As their website name implied, ordering from Medicinesfast is really fast especially since they dispense Rx drugs without asking for a prescription. 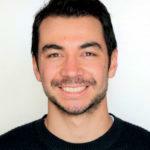 Medicinesfast.com provided avenues for their customers to be able to talk to them. They provided a phone support team, a chat support team, and contact us page. Their phone support team was available 24/7 yet their chat support team were available at certain time of the day only (office hours). After medicinesfast.com stopped its operations, it sends all the traffic to kwikmed.com.